(a) Install the No. 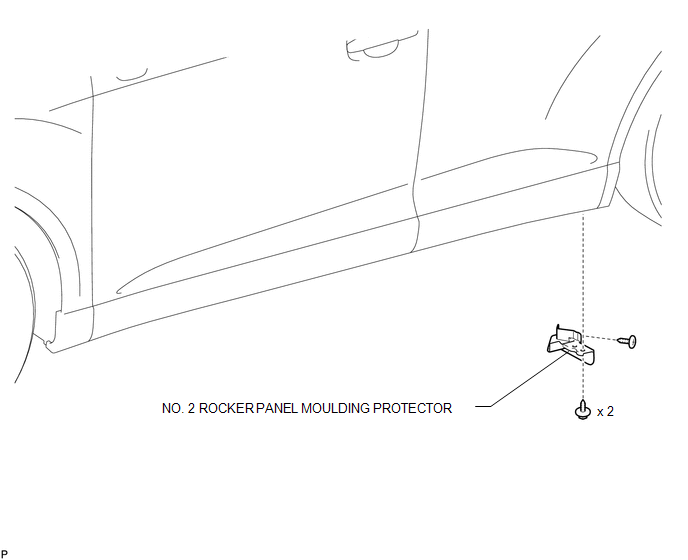 2 rocker panel moulding protector with the 2 screws <B>. (b) Install the screw <A>. (a) Remove the screw <A>. 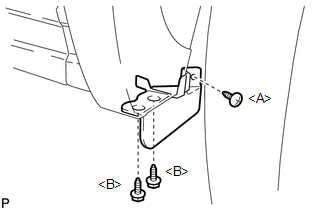 (b) Remove the 2 screws <B> and remove the No. 2 rocker panel moulding protector.